Papasan chairs are a comfortable fashion statement. 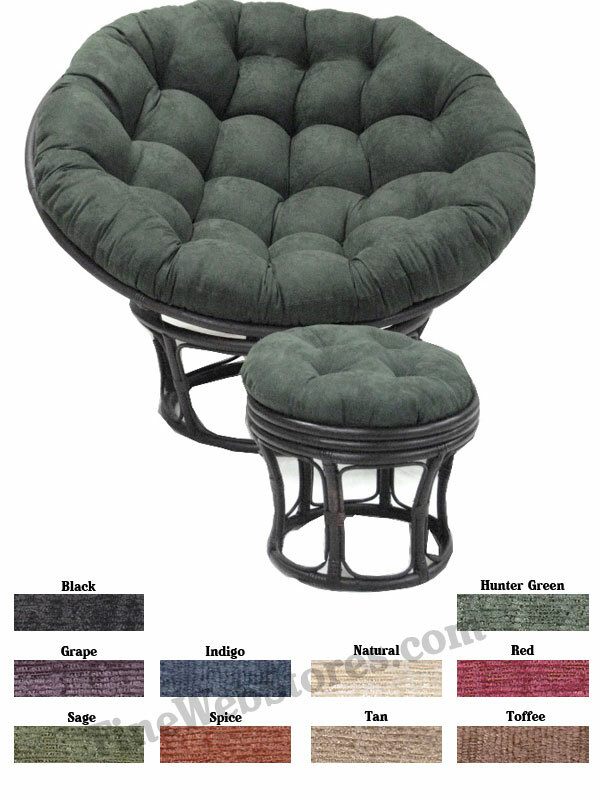 The problem is many times the papasan chair frame outlives the cushion. FineWebStores.com to the rescue! We sell excellent quality replacement papasan cushions! Our cushions are approximately 5 inches thick and they are filled with soft poly fill. We offer four different sizes. The papasan cushion is basically a round cushion. The MOST popular width is 46". Some small ones are made in 36" and 42" width and there are large ones out there that are 52" wide and even 60" wide. Please choose your width on the drop down menu. Simply measure across your present papasan cushion.